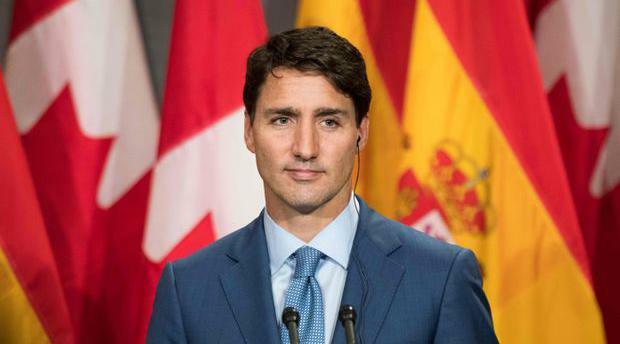 Has Justin Trudeau failed to be a strong Prime Minister of Canada? Justin Trudeau has failed to be a strong Prime Minister of Canada over the last three years. balancing of the cabinet in terms of gender flies in the face of reason. Determining candidates by any means other than their individual merit is discriminatory. abandoned that, claiming that there is no longer a consensus on the issue. trips with Aga Khan are an embarrassment, and he continually dodged the question in Question Period at Parliament when asked if he had met with Mary Dawson, the Ethics Commissioner at the time. carbon tax plan has been considered by many of the public, including Andrew Scheer and his PCs, to be a cash grab as well as outright dangerous to the Canadian People. By all accounts, the tax plan will increase costs of heating, gasoline, and more. scrapped the Energy East project, leading many to the conclusion that they have all but abandoned the Atlantic Provinces to their own devices. openly anti-racist and has tried hard to fix the Canadian immigration and refugee system. Trudeau's regime is responsible for the legalization of the recreational use of cannabis, which will lead to tens of millions in tax revenue, ultimately leading to investment in the Canadian people. Trudeau is largely liked in the international sphere, reinforcing the positive reputation Canadians already have abroad. Is Rahul Gandhi mature enough to handle a position of responsibility like being a prime minister?